Building a back that is healthy may not sound like it would be very hard to do, but this is actually not true. 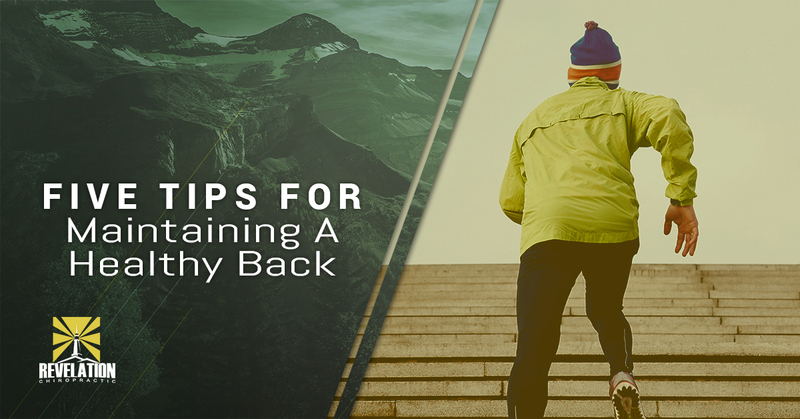 It takes some serious changes in your habits if you want to ensure that your back is healthy as it can be. This is because our backs are not normally at the top of our list of obligations. Not to mention, it’s fairly easy to forget to think about your posture throughout your day as you work your desk job. Additionally, it is so easy to opt for laying on the couch at the end of a long hard day rather than go for a walk. However, even if you have never taken it into consideration before this, it isn’t too late to start doing things that will aid to the health of your back and to your health overall. Follow the advice below and start your journey to a healthier and stronger back today. There are many people in Fort Collins who work office jobs that require them to sit at a desk for an extended period of time every single day. If this is something you can relate to, it’s important that you know that sitting that long and that often is likely taking a toll on your back. Being stationary for more than an hour at a time causes there to be a lot of pressure on the muscles in your back, as well as the discs. This will almost always lead to short or long-term back pain. We are by no means telling you that you need to quit your job in order to have a healthy back. On the other hand, we would recommend that you make a change to prevent further damage. The key is knowing when it’s time to stand up and walk away from your desk after you have been idle for a while. If you so choose, you could even invest in a standing desk so that you are able to choose when you sit and for how long without having to lose valuable time to work. It is estimated that an average adult should get somewhere around 30 minutes of vigorous exercise at least five days a week. This totals out to roughly 150 minutes per week. Whether you want to go jogging, lift weights, ride a bike, or hit up a boxing class, brief workouts are knowing to keep your blood flowing and your muscles and joints in great shape. This includes keeping your back strong as well. As we mentioned previously, having good posture is an incredibly important part of having a back that is strong and healthy. While we might not always notice that we are slouching, we can train ourselves to be more aware of it. When you are sitting, uncross your legs, put your feet flat on the floor and relax your shoulders, pulling them back slightly. This may feel a bit odd at first, but before you know it, your posture will improve and it will be second-nature to sit this way. While it would be nice if we all were invincible, this simply is not the case. Additionally, as we age things that we used to be able to do without any problem at all become more difficult. This is why we have to urge you to be safe when you are lifting nearly anything at all. Make sure to follow the age-old advice to lift with your legs and not your back otherwise you will likely be visiting your local chiropractor while in extreme pain. Manual therapies like adjustments from your chiropractor are not only methods of repairing a back that has been injured. In fact, having adjustments as a measure of prevention is the best way to ensure that your back remains healthy. With regular chiropractic appointments, you can aid your body in being in the best shape possible, making you feel and look younger. If you are ready to get in the best shape possible, it starts with a call to the Revelation Chiropractic office in Fort Collins. Contact us today to make an appointment!